Multi-leaderboard event! Blighted: +60% damage resist vs Wardens, and drain 25% enemy power on death. Wardens: +50% 2X damage chance and +25% bonus damage. Blighted strikes back! 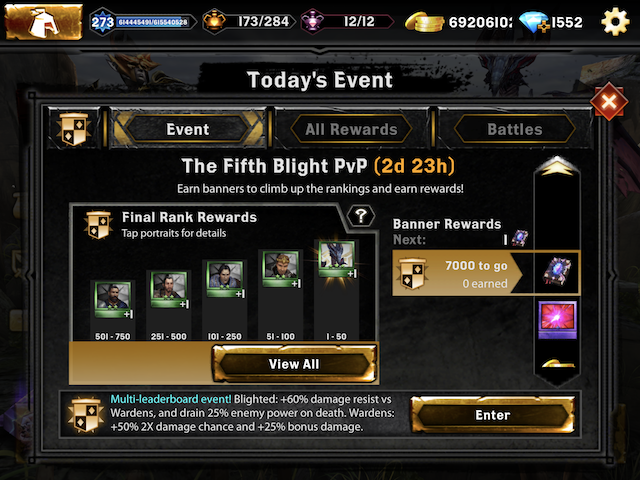 The previous event was not too kind on blighted teams. But this one is. Keep sending me warden teams thank you .